Jordan Brand will be releasing their all-new Air Jordan 9 Boot for the colder months. 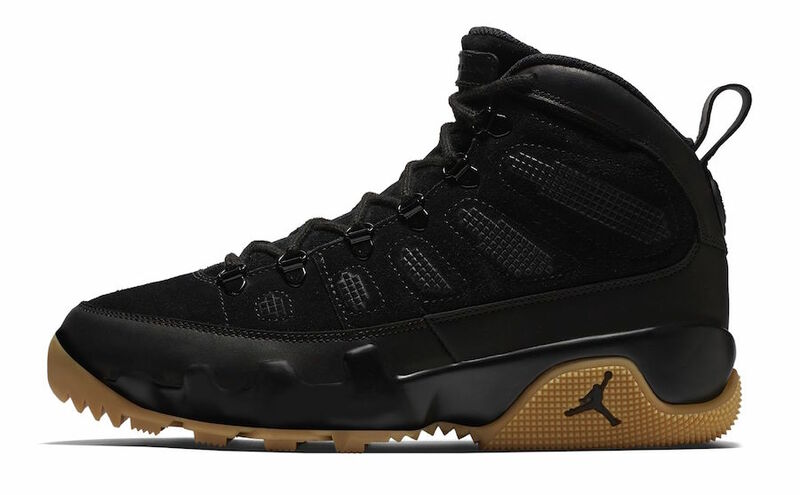 After taking a look at the “Olive” pair, we now share the upcoming Air Jordan 9 Boot NRG Black Gum iteration. Constructed in a mix of suede and leather covered in Black, while having boot-themed detailing on the metal eyelets. Finishing off the shoe is a Gum rugged outsole. Look for the Air Jordan 9 Boost NRG “Black Gum” to release on December 6th at select Jordan Brand retailers and Nike.com. The retail price tag is set at $225 USD.